For one who professes to not have a sweet tooth, I’ve been featuring an awful lot of sweets lately. Still, please indulge me as I spotlight another sweet treat; more chocolate of the melt in your mouth persuasion, Meiji Melty Kiss. A seasonal candy that heralds the arrival of Winter, this year’s Melty Kiss is available in Au Lait, Strawberry and Dark Rum. I hear that the flavors are rotated from year to year—I guess that would explain 2007’s Green Tea Melty Kiss which I can’t find in the local store shelves. Melty Kiss is seasonal for a good reason. It’ll melt! Definitely not a good thing. I’ve tried eating a melty Melty Kiss and it was a horrible mess. Simply opening the pillow pack (each piece is individually wrapped) was a major production. I had no choice but to stick it in the fridge to let it firm up. Still, it’s not really the solution because the best way to enjoy Melty Kiss is at room temperature. That way, it falls apart in melty, chocolatey goodness as it hits your tongue. I’ve tried the three variants above and while the creamy Au Lait is good, it’s the Strawberry and the Dark Rum that has me hooked. I like the strawberry for the fruity contrast the strawberry and chocolate make. On the other hand, I like Dark Rum for the intoxicating hint of liqueur it offers. A friend has described Melty Kiss as a poor man’s Royce Nama and I tend to agree, to a certain extent. The melt in your mouth experience is similar, down to the cocoa powder coating the chocolate pieces. 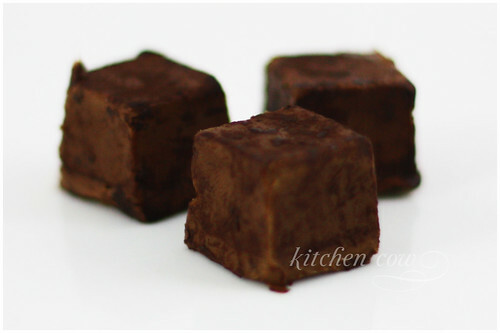 And while Royce Nama is superior in chocolate quality and texture, Melty Kiss is still a delightful little gem that tantalizes your tastebuds with the various flavors they offer. You guys know how much I value Royce Nama, so for me to dare to compare the two, you know how good Melty Kiss is. Make sure to grab Melty Kiss before it disappears for the season. Stockpile if you need to. The next Japanese Winter is a long wait. In the Philippines, Meiji Melty Kiss is available in SM Snack Exchanges, Rustan’s Fresh supermarkets, and most stores where Meiji chocolate is sold. This entry was posted in food spotlight and tagged au lait, chocolate, dark rum, kiss, meiji, melty, melty kiss, rhum, seasonal, strawberry, winter. Bookmark the permalink. Note to self: Add Meltykiss to the To-Buy list on Friday. as Nina said earlier, STOCKPILE!! 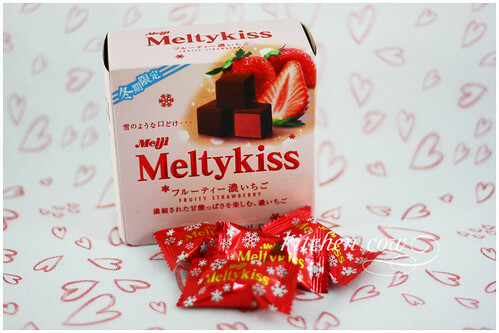 Melty Kiss is another fantastic Japanese confection! i had some Green Tea Melty Kiss, it was SOO GOOD! Stockpile? Ha! As if it’ll last pag nag-uwi ako sa bahay… SM, here I come! Huhuhuhu. I know where I’ll be going today~ :3 TIME FOR THE STOCKPILE!! waaaaah, I’m heading straight to SM come lunch time! Thanks for featuring this! 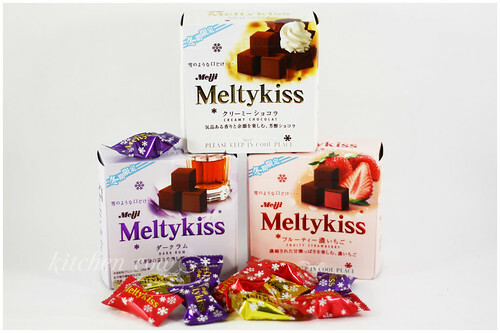 I first learned about Melty Kiss when a friend asked us to buy it for her from HK – and we were hooked ever since! Glad to know it’s apparently now locally available so more Pinoys can have their Melty Kiss fixes more easily. So many yummy Meiji sweets, I agree! I also love the Strawberry Apollo, Coffee Beat and Meiji Macadamia. And the plain Milk Chocolate bar too! At least may Melty Kiss. Royce substitute? Grab some kate! Before it get sold out for the season. Thanks Rieko! I use two cameras on this blog but for this particular one, I used my DSLR, a Canon EOS450D with a 50mm lens. And a good reason to be your favorite. It's one of my favorites now too. Yes! It's so nice being able to walk to a store to grab some when the craving hits. I love the pictures!!!!!!!!!!!!!! So professional. Meiji should be paying you for this! the little kids at home loveeed it! got hugs from them saraaap! thanks kaoko! Pumapalakpak naman ang tenga ko. Unfortunately, that’s one field I don’t think I can manage to break into. Sobra tough! 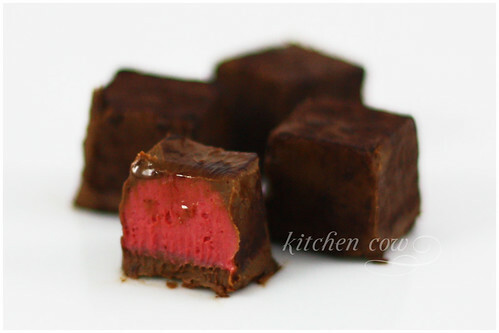 it looks like a japanese chocolate called creamy armande…. I love the Meltykiss Dark Rum variant. It’s the next best thing to Royce’s Nama Dark chocolate (black box). I wouldn’t be surprised if they have a lot of similar chocolate products. For a relatively small country, they have a whole lot of candy and chocolate products, yes? Totally agree with you on that! While I still love Royce, it’s nice having a cheaper alternative when you want to be more practical. Plus for me, the strawberry offers a totally different experience since Royce doesn’t have fruit variants.